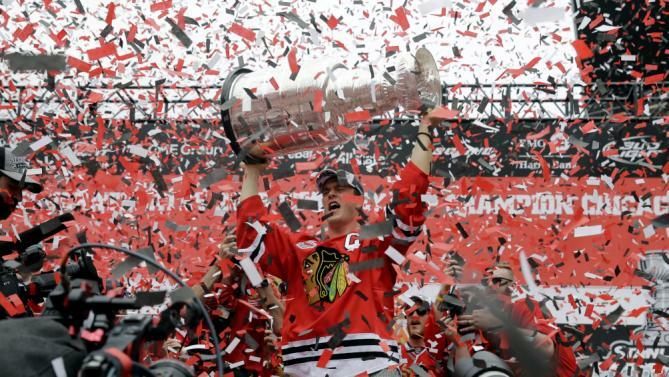 Are the Blackhawks the Best Organization in Sports Right Now? Following their 3rd Stanley Cup victory in six years, the Chicago Blackhawks are basking in the glow that is Chicago in HawksMania. Jonathan Toews, Patrick Kane, Patrick Sharp, and the rest of the 2014-15 roster are even bigger than Oprah (yeah I said it) through the eyes of their fans, and I don’t blame them. The Cup itself has such celebrity status, that bars are filled to mass capacity, simply based on speculation that it will be making its way through each establishment. 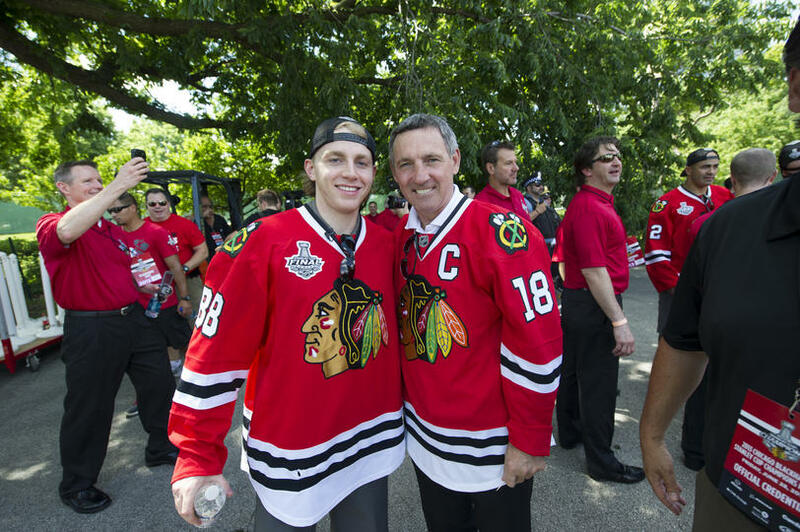 Speaking of Chicago Celebrities, as I watched the Comcast SportsNet Chicago livestream of the Blackhawks parade and rally yesterday, I saw host Pat Boyle discussing the team with MMA fighter/Former WWE wrestler CM Punk. Punk gets onto the topic of bandwagon fans and recalls a time when the Blackhawks were the worst organization in professional sports. He then follows his thought up by calling the Blackhawks the best organization in sports right now, and there is no rebuttal from the panel. So I wondered…Are they? Punk wasn’t wrong about how low the Blackhawks organization had been. In 2004, ESPN had the Blackhawks ranked as the worst organization in North American Sports. Former owner Bill Wirtz had blacked out home games, stating that it was “unfair to season ticket-holders to give away the home games on TV for free”, according to Chicago Bulls & White Sox owner Jerry Reinsdorf. During the 2003-04 season, the average attendance at the United Center 13,253…This year, the Blackhawks led the NHL in attendance for the 7th consecutive time with a 21,769 average. Current owner Rocky Wirtz changed the direction and business model immediately. Team president and CEO John McDonough turned the team into a marketing goldmine. 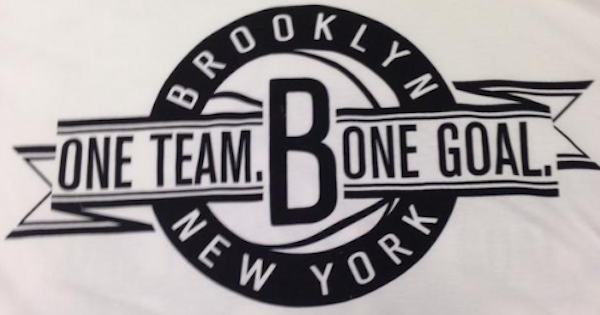 The “ONE GOAL” campaign that was introduced before the 2009-10 season has been imitated not only by teams in the NHL, but in other league’s as well, like the Brooklyn Nets. The organization invited back its legends as ambassadors like Bobby Hull and Stan Mikita, whom were shunned by the previous ownership. While many of the team’s core was brought in by Dale Tallon, they went outside the franchise for a winning pedigree by appointing Stan Bowman as general manager and making his father, (and legendary coach) Scotty, Senior Advisor. The last piece of the puzzle came following a slow 1-2-1 start in the 2008 season with Blackhawks Hall of Famer Denis Savard at the helm coaching. The team had higher expectations out of the gate, so they dismissed Savard and promoted newly hired scout Joel Quenneville to head coach. Quenneville had a 438-283 record coaching the Avalalanche and Blues before joining the Blackhawks, making the transition to the bench seamless. What I’ve found to be most impressive about that situation is the relationship between the Blackhawks and Savard immediately after. The organization named Savard an ambassador and he had no problem with it. It’s unbelievably cool to see him graciously pass the baton and still be a part of what has grown into a dynasty. How often do you see a former head coach have that with the team that removed him? Three championships in six years with a salary cap is more than qualifying for a dynasty. While he isn’t credited with bringing Kane, Toews, Sharp, Keith, or Seabrook to the organization, Bowman has done a masterful job (yes, masterful) at handling the turnover of the roster following each championship. When forced to choose between matching an offer sheet from the San Jose Sharks for Niklas Hjalmarrson or parting ways and re-signing goalie Antti Niemi. The decision to go with Hjalmarrson has worked out given his exceptional defensive play, 2 more championships, and none won by Niemi’s Sharks. More recently, the additions of center Brad Richards before the season, as well as Antoine Vermette and Andrew Desjardins at the trade deadline, proved even more so that Bowman is capable of arming his squad for a playoff run. All three were key in winning the Cup. The Blackhawks will be faced with more turnover this summer, given the lowering of the league’s salary cap, but now Chicago has become a destination for veterans who want to win. Players who have made plenty over the course of their careers are more inclined to take pay cuts if the odds of having their names engraved on the Cup are in their favor. Great organizations have that benefit. So who else is in the conversation? The most comparable organization, based on championships during the same timeline, are the San Francisco Giants. They too have won three titles in the last six years, with World Series wins in 2010, 2012, and 2014. In contrast to the other major sports leagues, MLB has no salary cap. While teams like the Los Angeles Dodgers and New York Yankees boast payrolls over $200 million, the Giants operate with salaries totaling in just above $170 million. Not necessarily a huge difference, as they ranked 7th in highest payroll the last time they won a championship, but still $100 million less than their division rival’s $272 million in LA. Their star talent is mostly homegrown with Buster Posey, Madison Bumgarner, Matt Cain, and Tim Lincecum being their Toews, Kane, Sharp and Lincecum. Like Quenneville, Giants manager Bruce Bochy took over with prior success, having won a pennant with the San Diego Padres. He also followed a former player in the organization, Felipe Alou. The Giants have also ranked in MLB’s top 4 for attendance for each of the last 5 years. The other team that you can consider to be similar would be the San Antonio Spurs. They’ve won 3 championships in the last 10 years, 5 in the last 15 with Gregg Popovich as head coach. The Bill Belichick/Tom Brady Patriots have certainly found a recipe for success having won 11 of the last 12 AFC East titles and 4 Super Bowls. However, it would be difficult to say the Patriots are very popular or well respected at the moment...but that’s just, like, your opinion, man. At this moment, the Blackhawks seem to have found the formula. More than 2 million fans reportedly showed up for the parade and rally yesterday, wearing hockey sweaters in humid temperatures. They turned Soldier Field into the Red Sea to celebrate their third title, while introducing many of the same names and faces from the first title in 2010. Are they the best organization in sports right now? You tell me. You can let me know on Twitter @Mike_PiFF03.